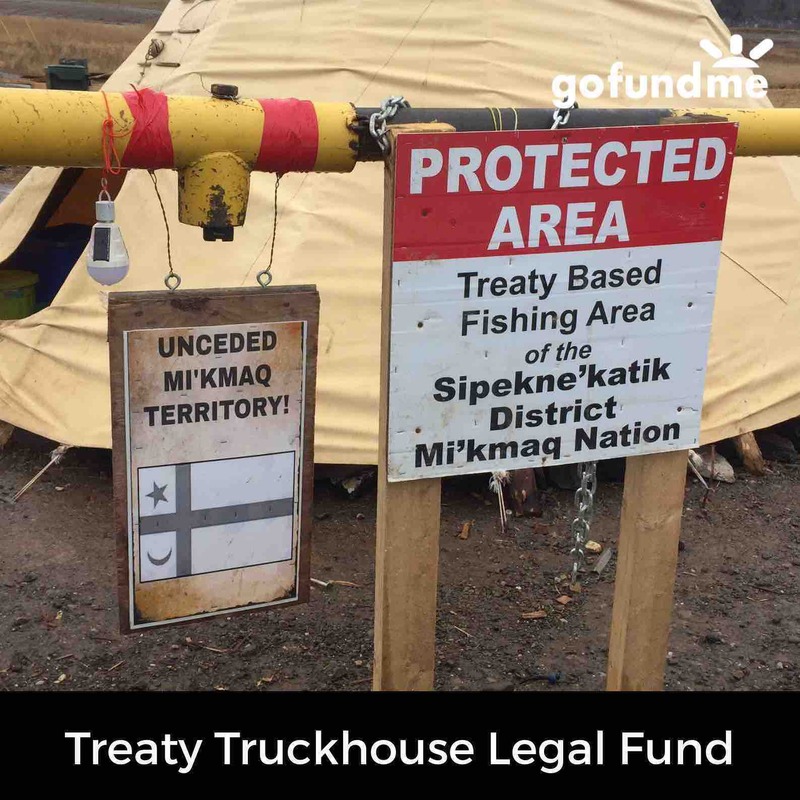 Grassroots Grandmothers, Mi'kmaw Rights Holders and our many allies need your help. We continue to stand united as water protectors of the Shubenacadie River in the Sipekne'katik District of Mi'kma'ki. For almost three years, water protectors have held a continuous presence along the Shubenacadie River, where Alton Gas intends to dump salt brine equivalent to 3000 tonnes of hard salt every day. This is part of Alton's plan to create underground salt caverns for high pressure natural gas storage. Despite the fact that this project is in violation of the Fisheries Act and has not consulted local First Nations, the Nova Scotia Minister of the Environment, the Utilities and Review Board, and the Nova Scotia Supreme Court has refused to revoke Alton's permits. Instead, the Federal government announced they will be creating new regulations that will specifically accommodate the Alton Gas Project. More recently, the court has granted a temporary injunction ordering the removal of water protectors from their post at the gate of Alton's work site. These water protectors now need to raise legal funds to assert their inherent rights and title to stop the pollution of the Shubenacadie River. Historically, that river has been a lifeline to our people- its provided sustenance and was very much a super highway for trade and travel throughout the territory. No Crown grant has ever been issued on this river and its lands. Such a case is complex in nature and requires special considerations to treaty and title. The company has access to unlimited resources while we have relied on the generous donations of people like you who care about the climate crisis, indigenous rights, the environment, fish, and the irreparable harm this project would cause. *The money from this go fund me campaign will be used specifically to retain the lawyer(s), pay for all legal/court fees & all specific legal/expert advice & costs required to pursue this matter in the courts. Regular withdrawals will be made by myself once a month to an account in my name to pay for our ongoing lawyer(s) costs and any outstanding fees associated with pursuing a case of this magnitude including the acquiring of legal experts, researchers etc. Please help us raise a proper Legal Fund to Stop Alton Gas from destroying the Shubenacadie River! Mi'kmaq water protectors have the strongest rights to a clean river, but legal campaigns are expensive. Please help us protect the water for all living beings and future generations. Water is life. Water is sacred. Water is a Human Right. "We do it for the Water." We are guided by our Ancestors, whose resilience flows through that river as through our very veins- we WILL STOP ALTON GAS. Will you please help us?